FCS fans love the playoffs. So do I. Fans love the idea of organizing a bracket of the 24 best teams, having them play each other, until a true national champion is crowned, proven through the only reliable way to truly determine a champion – head-to-head competition. So do I. But quickly FCS fans realize that the current FCS playoff system is an imperfect vessel for the ideal playoff system that FCS fans want – and, increasingly, expect. And that, more than anything, was the cause of last year’s outrage with the FCS playoff bracket that took team regionalization to a new level. Forget, for a moment, the fact that the Big Sky felt slighted that their champion, Southern Utah, got rewarded with a road game vs. Sam Houston State, the second-placed team in the Southland. Forget, also, that all the teams of the powerful Missouri Valley football conference got lumped together on the same side of the bracket – a complaint that seemed more grounded in theory rather than in practice, as eventual champions North Dakota State ended up instead beating a Big Sky team (Montana), a leaguemate (Northern Iowa), and a CAA team (Richmond) en route to the national championship game. The issues with the FCS playoffs are really the gap between the idealized, fan-perspective playoffs and the real, FCS committee-administered playoffs. 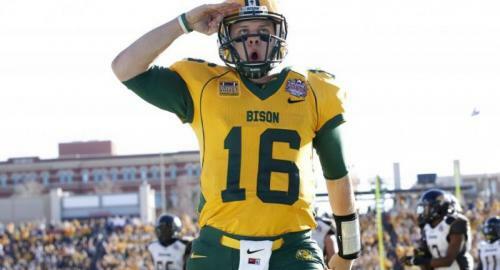 In an ideal world, fans want to see every FCS school in the FCS playoffs. They want to see all the conference champions in the subdivision called the “Football Championship Subdivision” face off in a massive bracket to see who’s the best team. They don’t want only want to see the biggest state schools in the nation’s least-populated states, like Montana and North Dakota State. They also want to see the historic schools of the Ivy League, like Harvard, historically black colleges and universities (HBCUs) that play in the FCS, like Southern, private religious-affiliated schools, like Villanova, and the great diversity of different schools that make up the subdivision. The reality, though, is barring a miracle we won’t be seeing teams like Harvard or Southern in this year’s FCS playoffs. Since the beginning of the I-AA playoffs back in 1978, the Ivy League has given a variety of shifting, hypocritical, inconsistent reasons for choosing to not allowing its champion to play in the FCS playoffs. Yet their senseless ban on participation remains in place, so we won’t see the Ivy League’s champion in the FCS playoffs this year unless the Ivy League presidents speak up and reverse their long-standing ban. Last season, the MEAC and SWAC set up the Celebration Bowl, pitting the champions of both conferences against each other in a bowl setting. Backed by ABC and ESPN, so far it has been a positive thing for both conferences with cash-strapped teams – at the expense of their participation in the FCS playoffs. 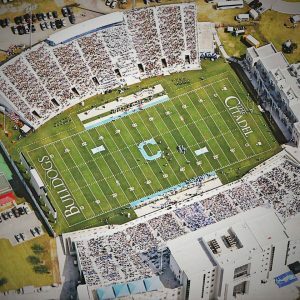 While people can shame all three of those conferences for not sending their champions to the FCS playoffs – and plenty will – it also begs an important question that the people running the FCS playoffs need to ask themselves: why are the FCS playoffs seen as something these conferences can do without? For the MEAC and SWAC, the answer is clearly related to money. 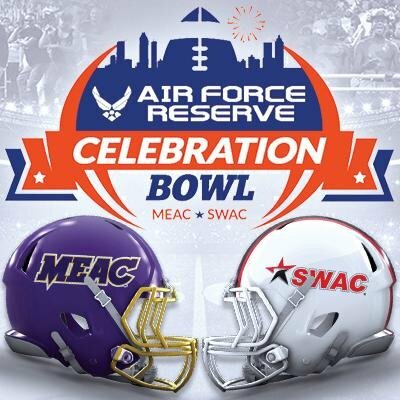 The SWAC long has required that the playoffs not interfere with their most lucrative football game of the year, the Bayou Classic featuring Grambling State vs. Southern, and now have chosen another bowl as a moneymaker for the MEAC and SWAC champions. Asking Grambling State and Southern to give up the biggest moneymaker for their school seems unreasonable, especially when what would replace it wouldn’t make a fraction of what that game makes for both schools. For the Ivy League, the reasoning is less clear. It’s not money – Harvard, Yale, and Princeton have endowments which is larger than the GDP of some countries. But they essentially deliver the same message as the MEAC and SWAC: the Ivy League says they don’t need the FCS playoffs, and don’t care to participate. The NCAA’s “basketball fund” is an outgrowth of the NCAA’s massive profit from ticket sales and broadcast revenue from the NCAA tournament. More than $700 million is generated annually, according to an article from The Washington Post, with 60% of that money distributed to conferences through a system of shares. If a school in your conference plays in the tournament, you conference gets money. If that school wins multiple games, the conference gets more of that money. That’s not how revenue works at the FCS level in terms of the playoffs. TV coverage of the FCS playoffs is covered by a deal with ESPN that currently runs through the spring of 2024. It is a part of a blanket deal that covers a slew of different NCAA sports that could be loosely quantified as “all sports except for men’s basketball and FBS football”. While the revenue numbers are not specified, it’s safe to say that it is not a deal that provides the NCAA with a whole lot of money. And as a result, without a hefty TV revenue deal backing the FCS playoffs, there currently isn’t a concept of NCAA “shares” involved with them – no large pool of dough that is sitting around just waiting to be distributed to other schools, like there is in men’s basketball. This lack of money has severe ramifications on the championship. It means that much of the bills of hosting, officiating, and maintaining the championship fall to the host schools themselves. Schools make bids on the playoff games, and if chosen to host a playoff game, have to provide guarantees that they pay the NCAA to conduct the playoff games. This makes for the not-at-all-uncommon occurrence that schools have deep runs in the FCS playoffs but lose significant sums of money in the process. But this is at odds with the expectations of common FCS fan. The typical FCS fan doesn’t look at the FCS playoffs as something that loses money, costs their school surprisingly large sums of money to host, or sometimes generates a sub-optimal matchup. They simply want to see a game between their school and the other best schools in the country, no matter where they’re from. But doing that – effectively, seeding every team in the playoffs and having them play each other, regardless of location – would balloon the budget of the playoffs significantly. Rather than the somewhat regionalized bracket we see today, we’d possibly see a school like Duquesne sent to Northern Arizona one week, and, if they win, sent to North Dakota the next, necessitating two chartered flights in consecutive weeks. Football playoffs by far are the hardest to administer for the NCAA. Unlike baseball, softball and other sports, there isn’t the possibility of “super regionals” at one large site and the use of the same field to contest multiple games, nor is it possible to play several games over the course of a couple days. Bodies and fields need a week to recover before they can be used again for competition. And when brackets are “regionalized”, you get the potential of generating second-round matchups between teams that have already played during the regular season – or, like last season, opened the possibility of a team like North Dakota State having to play three Missouri Valley Football Conference teams to make it to the championship. So what can be done to bridge the gap between the FCS playoffs that we see today and the expectations of the increasingly-hungry FCS fan? I think the first thing that should be pursued is to stage the semifinal and final games in neutral-site locations. By all accounts, the FCS championship in Frisco has been a great experience for all parties involved. There has been great crowds – thanks to North Dakota State’s repeated success – and a great atmosphere. Now imagine three sites: Frisco, TX; Chattanooga, TN; and, say, Charleston, SC, alternating every three years hosting the semifinals and finals. While it might not put money in teams’ pockets per se, an NCAA-sanctioned semifinal at these three neutral locations might help make playoff runs less costly for the teams involved. And trips to Texas, Tennessee and South Carolina would be great benefits for the families and friends of the players – a reward in and of itself for the teams’ successes, win or lose. It also might make Ivy League, MEAC and SWAC teams think twice about not participating in the FCS playoffs, watching teams like Fordham, Chattanooga, and Jacksonville State playing semifinal bowl-like celebration playoff games in Johnson Hagood stadium in Charleston. It wouldn’t necessarily be easy for the NCAA, or the host cities, to administer, or agree upon. And it might not bridge the entire gap between the expectations of the FCS fans and the nitty-gritty of the FCS championships. But I think it would be a great next step in getting both sides one step closer to the ultimate playoff experiences that everyone wants. Do you ready want to kill FCS football? Home teams always produce the largest crowds and that is where the money comes from. What if you had EW and NA traveling to these hosting sites? Do you think it would still make the money? I don’t think so. Its called playing the best football you can and your reward is be able to host the game.